"To serve, protect, and educate all involved in combative sports"
In the United States, physicians are licensed in their respective states, and so malpractice liability insurance must be obtained through carriers that operate in their particular state. There are very few malpractice insurance carriers that cover all fifty states and territories. In some states and territories, the ringside physician is covered by the ruling athletic commission. But in others, they are not. Problematically, some physicians think they are covered by their current malpractice liability policies while, in fact, they may not be. All ringside physicians are encouraged to review their policies in detail, and if not specifically covered for sports medicine (including professional events) to obtain additional, ringside medicine specific liability coverage. Additionally, by law, as a non-profit organization the ARP is unable to create and sell its’ own policies on a national level. We have been able, though, to find two highly reputable malpractice liability brokers willing to work with individual physicians in different states, with the requirement that they be current members of the Association of Ringside Physicians. Their information is listed below. We will be pursing resources for needed coverage in other countries and territories on an ongoing basis. 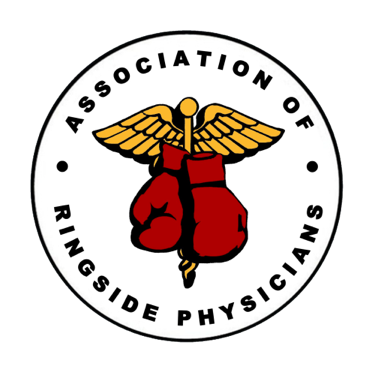 "Association of Ringside Physicians" is a 501(c)6 non-profit organization.